Supply chain management is often taken for granted in the business world. Regardless of industry, the supply chain is the backbone of any company. It begins with procuring the materials or services needed to create the end product and continues until the finished goods are in the customer’s hands. This process typically involves a range of decisions and transactions between several distinct entities. The supply chain begins with acquiring the goods or materials needed to satisfy the end product. Businesses must choose vendors, freight carriers, and possibly warehouse solutions. 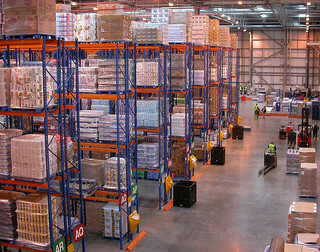 Inventory storage and the handling of goods-in-process are part of supply chain management as well. Marketing and distributing the product to the consumer wraps up the process. Essentially, supply chain management includes every decision made about the products or services a company delivers to their customers. 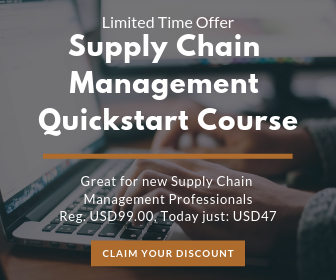 The best way to understand the various phases of supply chain management and how certain points influence others is to look at the 3 levels of SCM decision-making a bit closer. Every effective supply chain strategy begins with solid long-term decision-making. The strategy level lays the groundwork for the entire supply chain process, from beginning to end, and is an essential part of supply chain management. Strategy level supply chain decisions are usually the first step of developing a good process. Businesses make short-term decisions involving the supply chain at the tactical level. At the strategy level, general planning begins, but processes are actually defined at the tactical level. Tactical decisions play a big role in controlling costs and minimizing risks. At this level, the focus is on customer demands and achieving the best end value. The operational level of supply chain management is the most obvious. These are the day-to-day processes, decision-making, and planning that take place to keep the supply chain active. The mistake that many companies make is to jump straight into operational management without focusing on the strategy and tactical levels. Effective operational level processes are the result of strong strategical and tactical planning. The most effective supply chain strategies are the result of a holistic management approach. When all 3 levels of supply chain management are given proper attention, every member of the supply chain benefits. The three levels of the supply chain management was explained very throughly. I would like information on the bill whip effect. can you please tell me, In which particular place of Supply Chain Management does the gap occur?, when it comes to industrial ERP process. Great information. Thanks for sharing.I would just like to add on that there can be There are many decisions that are made when looking at SCM. They follow the above categories. Strategic decisions are made over longer periods of time and linked to a corporation’s strategy. Operational decisions are more short term and look at day to day activities.